Dissemination of fair and accurate information is the necessity that the Election Commission of India (ECI) holds being organiser of elections in a large democracy like India. The Commission has emphasized on involvement of all stakeholders especially media and radio being one of the important medium, of communication to connect the voters with the election machinery. 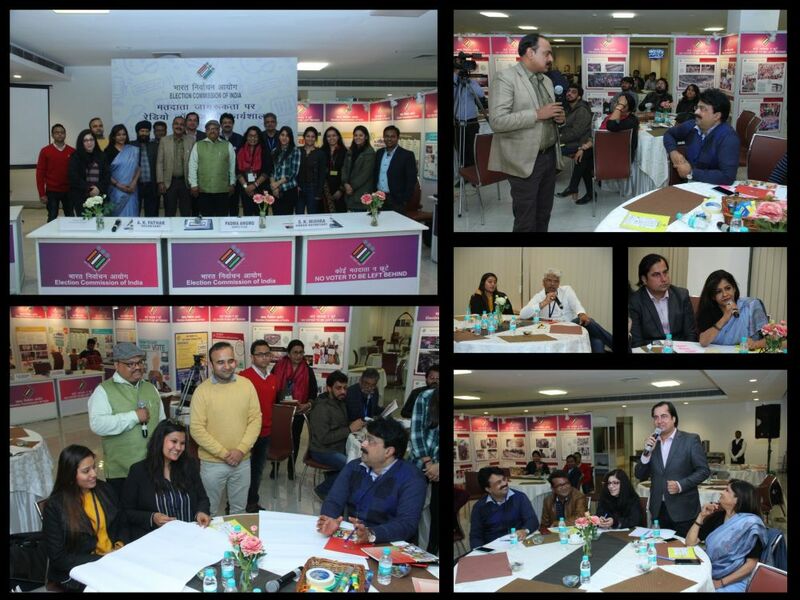 For this purpose, the Commission, on 21st January 2019, organized an interactive workshop, at Pravasi Bhartiya Kendra, for the Radio Jockeys of All India Radio and the leading private Radio FMs of the Delhi NCR. Radio jockeys from major FM channels viz. Big FM, Red FM, Fever 104 FM, Radio Nasha, Ishq FM and Radio City attended 2 hours interactive session, where they participated in activities for dissemination of voter education. The workshop was a part of the engagement taken up by the Commission with the major stakeholders. It was organized to familiarize the Radio Jockeys with the election process so that they can help in wide and accurate dissemination of information to their listeners. 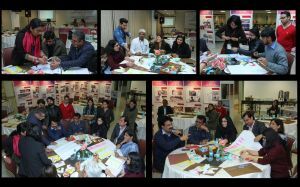 The workshop saw interactive and enthusiastic participation of the representatives. The session began with a brief introduction, followed by an activity ‘Build Your Ballot’, in which the participants built a Dummy ballot paper as part of an activity of Voter Awareness. Director, Ms. Padma Angmo interacted with the participants wherein they discussed their queries and assured to take forward the association with ECI on voter awareness in an organic manner. Her interaction was followed by a quiz, which conveyed basic information on voter awareness through interesting questions. Towards the end their suggestions were received and answered by the senior officers from the Commission during an open session. RJs during activities, Build the ballot and election Quiz.